Did you know that robots are used to perform very complex surgery? 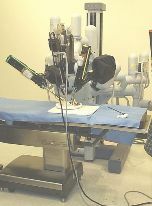 A Robot called the da Vinci surgical system shown above can be used to do prostatectomies, cardiac valve repair and gynecologic surgical procedures, but can be used for any abdominal or thoracic surgical procedures. It has four robotic arms. Three of them are for tools that hold objects, act as a scalpel, scissors, bovie, or unipolar or dipolar electrocautery instruments. The fourth arm is for a camera with two lenses that gives the surgeon full stereoscopic vision from the console. The surgeon is seated at a set of controls and looks through two eye holes at a 3-D image of the procedure, while maneuvering the arms with two foot pedals and two hand controllers. 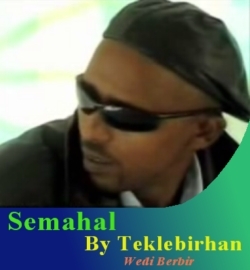 F.Y.I What did Siye Abraha Say? Is It an Act Of Biopiracy Over Ethiopian Most Critical Crop Teff (Eragrostis Teff)? Predictions for Today and Tomorrow, could Egypt Revive it’s dying Puppets? Introductory speech to our congress and the conclusive declaration. ©2005-2008 Tigraionline.com All rights reserved.